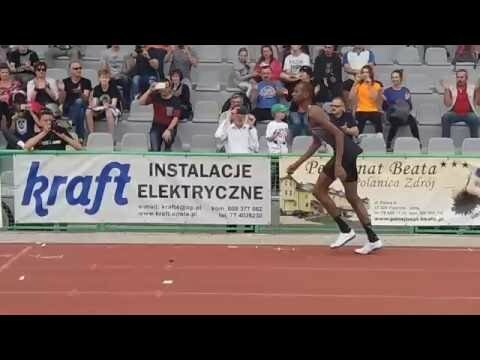 On 5th of February, 2016 in polish town Lodz Mutaz Barshim gained victory over Andriy Protsenko acording to attempts. Pole Kamila Licwinko equalled the world-leading mark of 1.97m. One of the best high jump winter meetings starts tomorrow in Slovakia. Here you can look through the information about entry list and also watch competition online translation. In the women’s competition, Lithuanian record-holder Airine Palsyte cleared a world-leading 1.97m in the high jump and tried at two meters. Qatar’s reigning world indoor champion Mutaz Essa Barshim opened his 2016 season with a world-leading 2.34m clearance in Malmo, Sweden, on Sunday before attempting 2.38m. Among women's meeting held in national format, but for men it is always full international high jump competitions with high results.